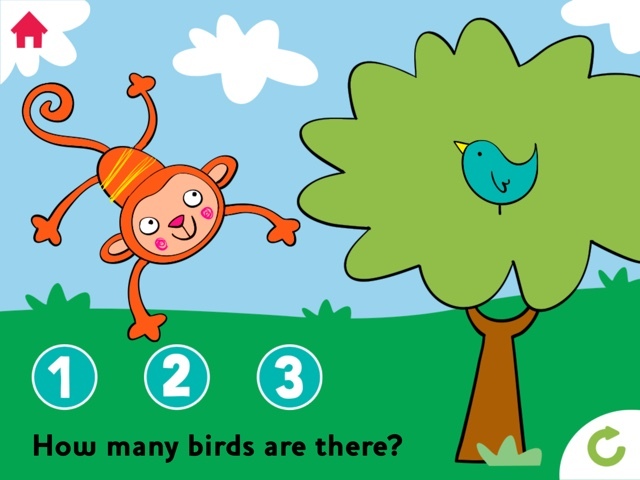 Clydesdale Bank have launched a Count Me In 123 numeracy programme, designed to help engage pre-schoolers with basic maths in preparation for their transition to school. 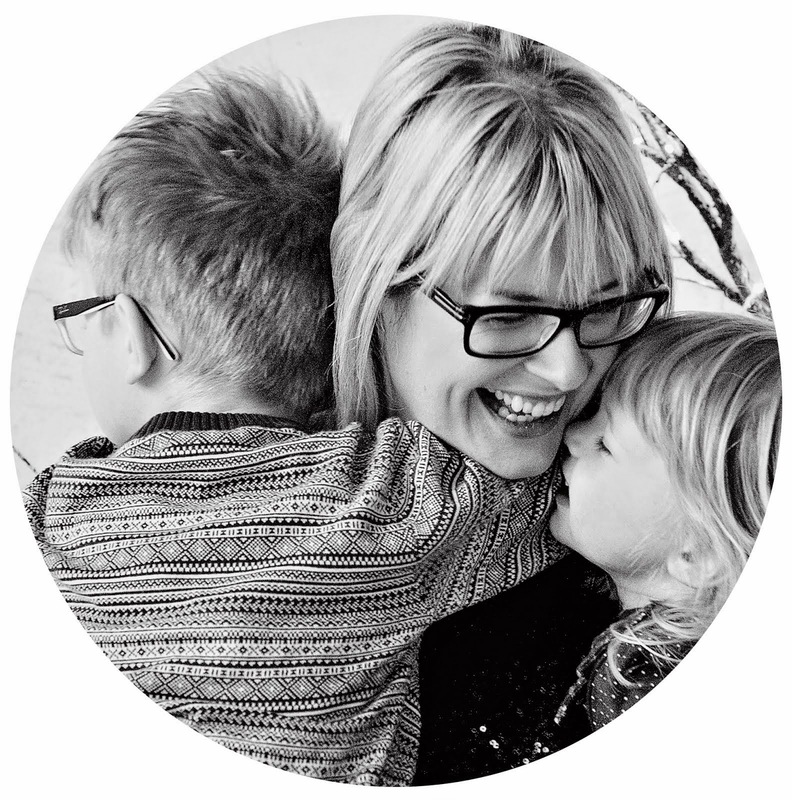 The campaign, through parents, carers, nurseries and libraries, will give children access to a range of educational resources including worksheets an interactive website and tablet app. 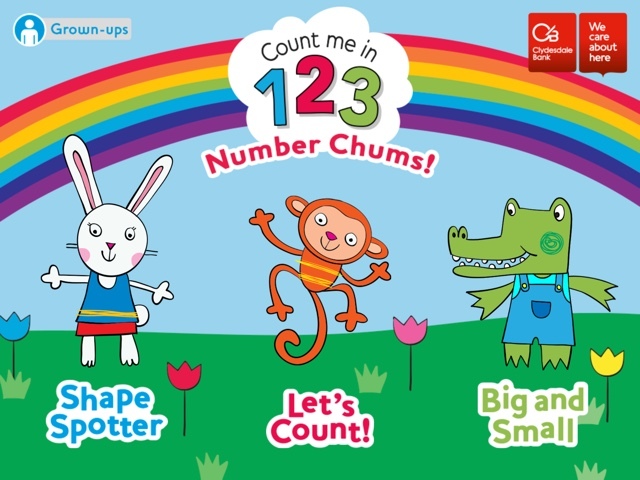 The number chums are three cute, fun animals... a white bunny rabbit, a cheeky looking monkey and a crocodile (or maybe he's an alligator - I forget how to tell the difference). Anyway, the cartoons are brightly coloured and I love the clean & clear graphics. 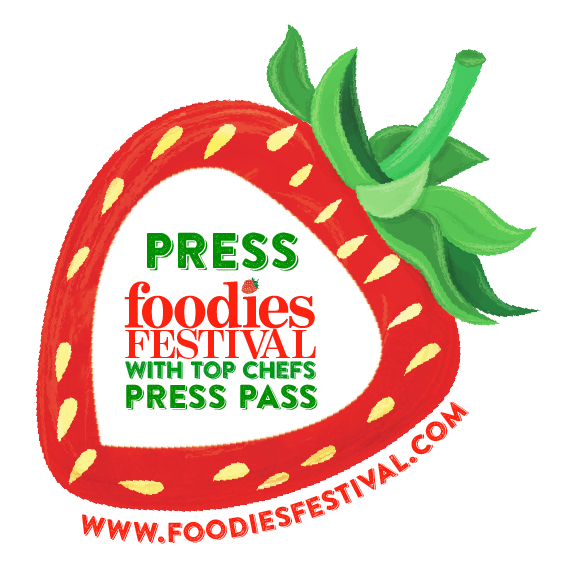 Very appealing to kids (& grown-ups too!). I like that there are printable activity sheets, so this programme is not all computer based. 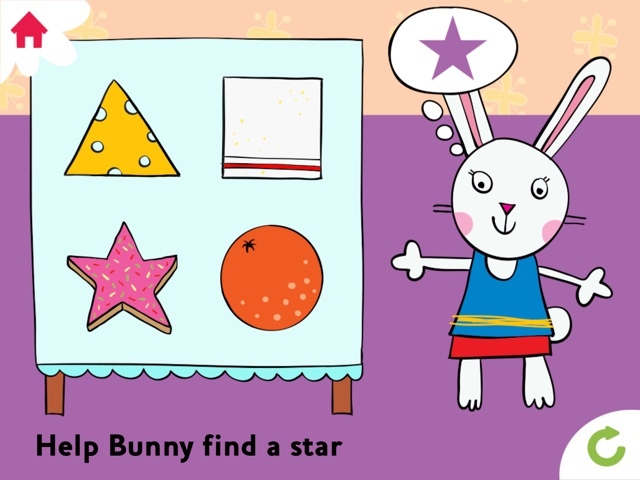 My kids do love their tech, but equally we love to draw and colour so the worksheets are ideal. As well as the activity sheets to print out, there is an online story book about Monkey's birthday party to read. For a long while we didn't own a tablet device, so it's also great that the game is accessible on a computer. Plus if you use the computer version there is a printable certificate! 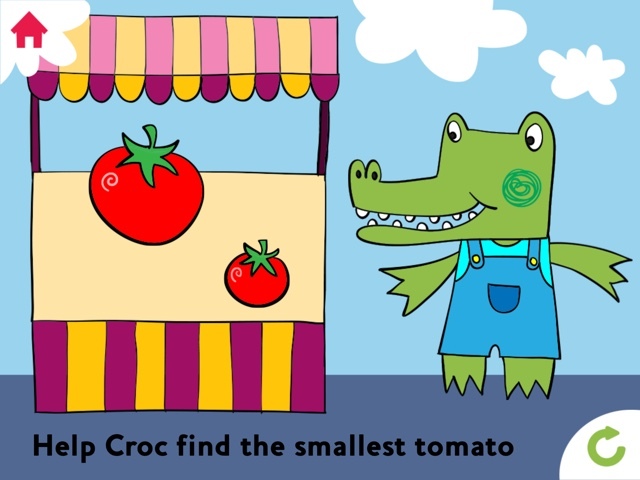 We downloaded the Count Me In 123 Number Chums tablet app and tested it out. 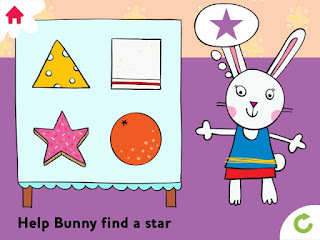 The app is really easy to use and the kids could use the game and follow the instructions without any input from myself. The characters take you on a journey of numbers, shapes and sizes. Every time my daughter got an answer correct, there was some positive reinforcement... "yes, well done!" or "that's right". I personally loved that it was a Scottish accent doing the talking. In the past I've downloaded a few educational apps on my phone and the accent was rather confusing, especially when trying to learn the alphabet. My daughter in particular loved the game. She was able to answer every question correctly. However she eventually commented that it was "a bit too baby-ish". Yes, my daughter is four (and an all important half), going on fourteen! She's definitely ready for school!! What's missing for me is being able to advance through levels of difficulty as my two were able to whizz through the questions and did eventually get bored. Hopefully more levels will be introduced with the next upgrade. Overall I'd give the app a big thumbs up. 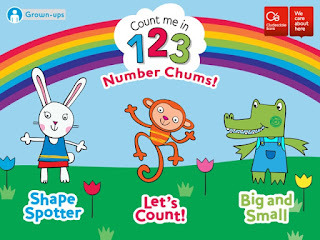 I think the Count Me In Number Chums are perfect for children just starting out with numbers and for those looking to practice their skills. We received an iPad mini from Clydesdale Bank in exchange for an honest review. As always, opinions are our own.